We now offer bookshops the option to sell bespoke National Book Tokens gift cards. If £10 or more is loaded onto the card at time of purchase this service is abolutley FREE* (for smaller amounts see pricing below). You don’t even need to load the card with value as we will do this for you via your Bookshop account. • There are certain restrictions on what you can put on a personalised gift cards design – see terms and conditions below. Bulk personalised products are produced to order and will be invoiced accordingly, please check your order very carefully as cancellation and or changes are not normally possible. This agreement is between Book Tokens Ltd and booksellers - the Purchaser. Personalising gift cards - We aim to provide you with a fast, high-quality service. Please double-check your order and design and your order acknowledgement carefully to check that all the details are correct. It is up to the purchaser to ensure that content you have provided for your personalised gift card is correct, and (for example) is spelt correctly. Delivery - all delivery times quoted, either verbally or in writing, at the time of ordering are approximate and Book Tokens Ltd cannot accept liability for delivery delays. Delivery normally takes 5-6 working days from the date of formal order acknowledgement. The purchaser should notify Book Tokens ltd of any product defect or short supply within 7 days of delivery. Ordering – Book Tokens ltd will manufacture according to the details on the order form – unfortunately changes or cancellations are not possible once the production process has started and purchasers will be liable to pay the full amount. Book Tokens will acknowledge all orders and purchasers should not consider orders as accepted until order acknowledgement. Pricing - is set out on the Book Tokens website and may be changed at the sole discretion of Book Tokens ltd. Orders will be invoiced according to the price agreed at the time of ordering. Terms of Payment – unless otherwise agreed all payments will be made in Sterling (without deduction or deferment) within 30 days of the date of invoice. 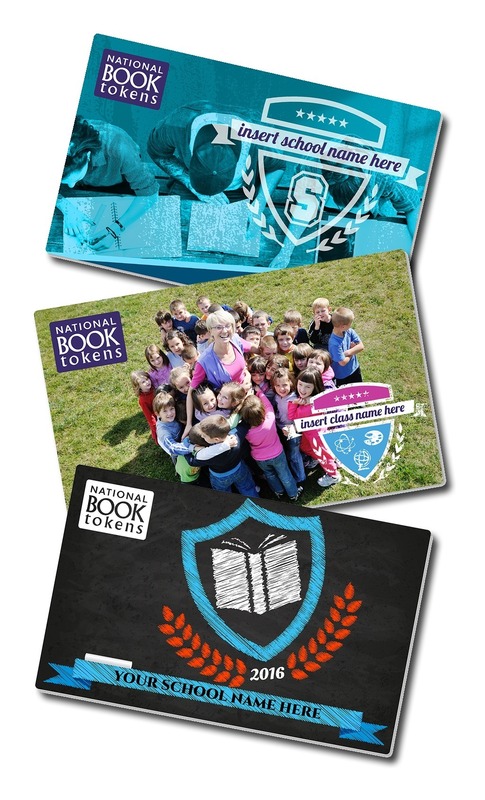 Loading value – Personalised National Book Tokens gift cards can be loaded with value and used in the same way as standard National Book Tokens gift cards. Value that is loaded onto Bulk Personalised gift cards will be invoiced according to the same terms as standard National Book Tokens gifts cards via the purchasers Book Tokens account. Please discuss any special requirements for loading with the Book Tokens customer service team. You must own (or have the permission of the image owner) to use it. If your image includes another person, you must have their consent to use it. If you are uploading a photo we recommend for a full bleed image that your photo is approximately1082 pixels x 709 pixels (or the equivalent thereof for smaller image areas) and that images are 300DPI (Dots Per Inch). If you try to upload a photo that has a lower resolution or image size, we will accept it and it might appear grainy, of low resolution or of low quality on the finished gift card. Slogans, tag lines, branding, marketing of companies – other than your own or that of the gift card’s purchaser (for which permission must have been granted). Liability – Book Tokens Ltd shall not be liable to the purchaser for any product defect or damage caused by a 3rd party or the purchaser. Book Tokens Ltd shall not be held liable for any loss incurred by the purchaser caused by product defect or late or short delivery.